From the Appleton Public Library website: Individuals, businesses and organizations are invited to donate new children’s books to the 2018 Reach Out and Read Book Campaign. The children’s books will be given to clinics participating in Reach Out and Read Partners – Fox Cities. This program gives children a foundation for success by incorporating books into pediatric care and encouraging families to read aloud together. “Reach Out and Read prepares America’s youngest children to succeed in school by partnering with clinicians to prescribe books and encourage families to read together. The program begins at the 6-month checkup and continues through age 5, with a special emphasis on children growing up in poverty. Ages 0-5 are the most critical for brain and language development, and parents and caregivers play a crucial role in their child’s development. 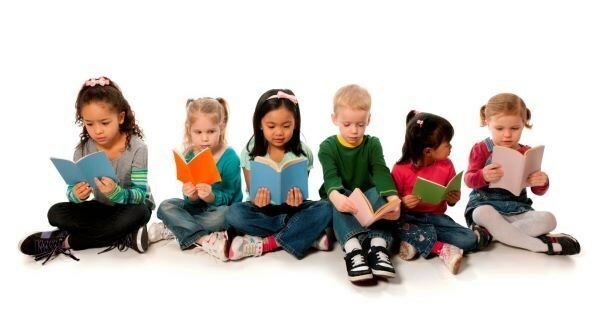 Children who are read to at an early age develop a lifetime love of books and learning. In addition to the obvious aspect of this program, Reach Out and Read also understands the importance of providing math skills to young children. Reach Out and Read is the only national literacy program delivered through pediatric care providers. More than 90% of children under age six have visited a medical provider for a check-up in the past year, and medical providers are highly trusted by parents, making them ideal ambassadors for the importance of reading with children, even from birth. With a network of over 32,000 providers and 6,000 clinical sites, Reach Out and Read provides 4.7 million children and their families with books, tips, and guidance for reading aloud together. Reach Out and Read families are two-and-a-half times more likely to read together every day. Simon Falk, welcome participants and encourage all to join in during future months. #WATWB is a blog hop on the last Friday of every month. Click HERE to check out the intention and rules of the blogfest and feel free to sign up at any time. You are always welcome! Thanks Dan. I was really thrilled that our office donated to the cause of this program in December. It’s a wonderful thing that they do! Love this program and what a positive message they are spreading. Just loved it! Syl, I’m extremely happy that the program exists and is helping to make readers and mathematicians out of young children. Those skills are so important! This is so important. I’ve volunteered with first graders helping them with reading. It’s fun an rewarding. Thanks for sharing this! Oh, yes. 🙂 They are so full of light. Reach Out and Read sounds like a terrific program! How great to provide 4.7 million children and their families with books, tips, and guidance for reading aloud together. I am heartened that families who participate are 2-1/2 times more likely to read together every day. What an inspirational story. Thanks for sharing. You’re welcome, Lizbeth. Thanks for stopping by to read about this awesome initiative. The more that children have access to books and the ability to read them, the better off this world will be. Great post Mary thank you! The idea seems to be spreading that children who are read to from a young age will learn to read better too and succeed better too – and as your post also illustrates, maths can be taught in a story like way. I guess books don’t have to be new though – good 2nd hand books donated would help in costs? Whoever helps the children helps entire generations. This is one of the best programs I have heard of. Fostering the culture of reading in children opens up their minds to limitless possibilities. Thank you for sharing it with us. You’re welcome, Peter. I believe that books are important for children in developing their knowledge, compassion. creativity and open-mindedness. This program allows parents to see their kids grow in their reading and math skills and gives them hope for bright futures.